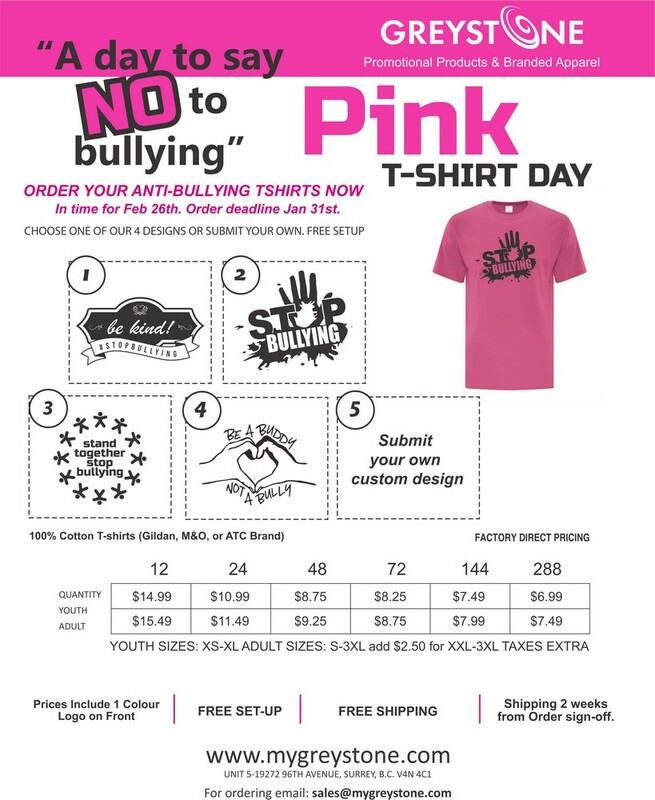 Order your Pink T-Shirts now to arrive in time for Anti-Bullying Pink T-Shirt Day on Feb 27th. Click the Link Below to open a PDF copy with Order Form that can be downloaded and printed. ***You do not need to create a Dropbox Account. Simply close the pop up window asking if you would like to create an account.